Except Easter, Mother's Day, Father's Day, and July 4th. 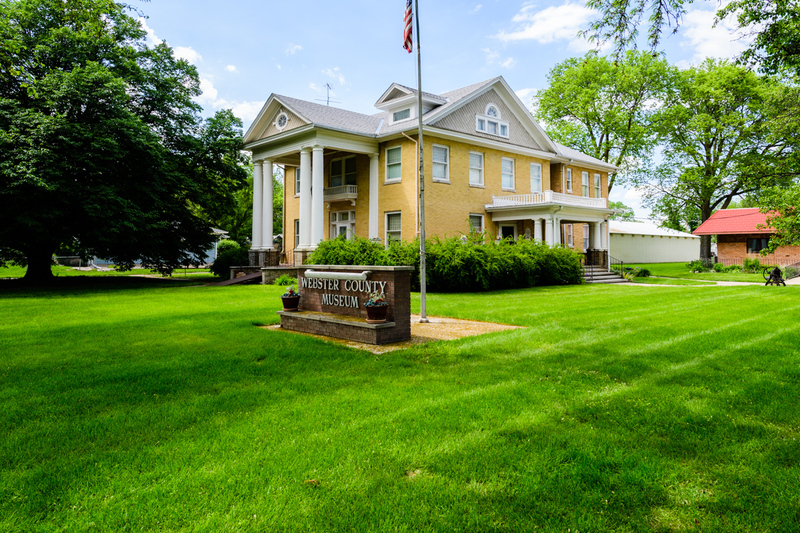 Housed in a 1909 classic revival style brick mansion, the Webster County Historical Museum is a beautiful landmark and an outstanding resource for learning about the area's rich pioneering and agricultural history. The four floors of the museum bring to life the early settlers of Webster County. It is a treasure trove of information about local families living in the Red Cloud and Guide Rock areas during the late 1800's and early 1900's. Items include books, diaries, Bibles, hymnals, paintings, clothing, and furniture. There are also schoolbooks and desks from the first school house in Webster County, which was opened in Guide Rock in 1867. Mary Kingsley was the first teacher of the Guide Rock school, earning twelve dollars a month in salary. Photographs and a select few brochures and letters from Silas Garber are also available at the museum. Garber was one of the original settlers of Webster County and was the Governor of Nebraska from 1875-1879. 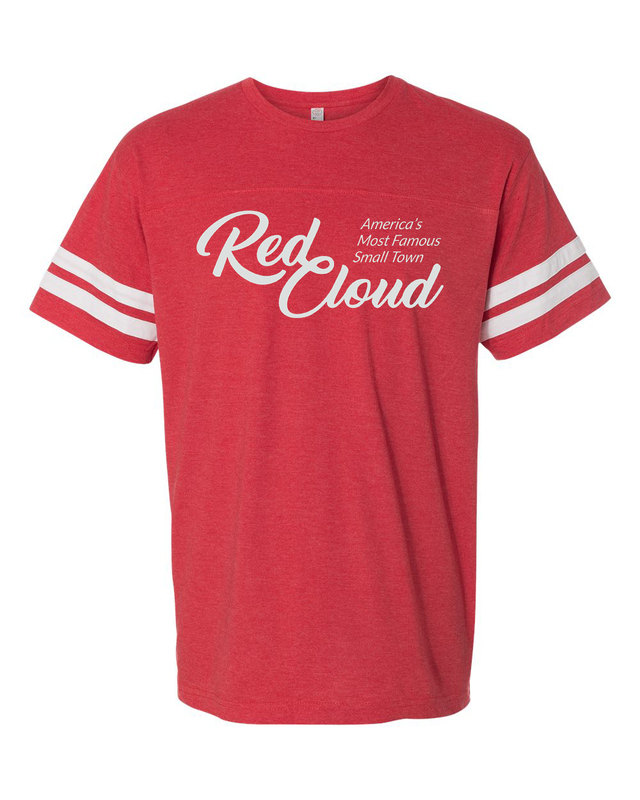 There are a few photographs and personal accounts of the "Great Storm of Red Cloud," which happened in 1879, when a storm nearly destroyed the entire town. The majority of the town's buildings were leveled and there was over $10,000 in damages. Museum artifacts also include a 1904 Rumely steam engine and a 1910 Case threshing machine, along with other examples of early day farming machinery. The paleontology exhibit, "Digging Through Time" showcases some of the wondrous fossil finds that have been discovered in Webster County. The musuem's genealogy department is a popular destination for those interested in learning more about their family tree. They have marriage announcements and obituaries that date back to the late 1800s. The department also has old copies of the Blue Hill Leader and the Webster County Argus available for review and research.